Its full name Santiago de los Caballeros de Leon, a city with great importance history for being the first city founded in Nicaragua in the years 1524, also known as university city since one of its historical contributions to the country, is to have the first and most Old University founded in the year 1813 reason why it is also intellectual seat of the nation, besides being commercial agricultural center. Leon before being declared capital city Managua, during years I host this appointment jointly with Granada, with a population above the half million inhabitants. The department of Leon is characterized by spectacular landscapes, beaches and beautiful volcanoes that form part of the line of fire that covers the entire central American region. We locate historical villages with its colonial architecture and ancient churches. For years like cities such as Antigua Guatemala or San Salvador, it has suffered earthquakes that have depleted normal development, all thanks to the volcanic topography of its land. In Leon was signed the act of independence of Nicaragua and Costa Rica from the Spanish occupation and was the capital of Nicaragua at the time of the dissolution of the Federal Republic of Central America, it was from that time that Leon and Granada were historical rivals as socio political center Of the country, this conflict finally ended with the declaration of Managua as capital city in 1858. 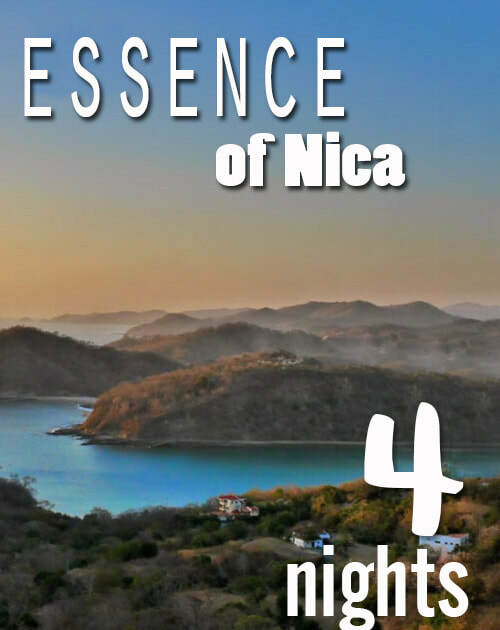 The city is home to historic heritage monuments of Nicaragua and Central America, among which are the Cathedral of the Assumption, a world heritage site with its baroque colonial style built in 1747, being the largest cathedral in Central America and the oldest diocese in America. During the years different earthquakes have affected its infrastructure so it has undergone different renovations to maintain it. The church offers service and tours to visitors, which runs its ships, cellars, baroque bath, prince's courtyard, the pinacotca, chapel of the Sagrari until finally the towers with their dome and peaks. In addition to the cathedral, Leon is also home to more churches such as San Juan Bautista, Iglesia de San Francisco, Iglesia de la Recoleccion, and many more, some of which remain vestiges and ruins, all dating back to the 1700's. Because of its historical, political and commercial importance, Leon has also become a tourist transit point, as it is a point of connection with other important destinations in and out of Nicaragua. There are tourist bus services that connect to the south with Costa Rica and to the north with El Salvador to connect the regional tourist route of many backpackers and explorers, of course always passing through Granada that is also a city of historical political relevance and that is very Short distance. The offer of tourist services is very varied, hotels, restaurants and travel agencies available, it is possibly set to Granada the point necessary to look for other local destinations such as city of Managua, Isla de Ometepe, San Juan del Sur, and the Caribbean Nicaraguence . Buses available public and private touristic services from Managua, Rivas, Granada, also international connection from Playa El Tunco and Antigua Guatemala.